The job of the German submarines was to enforce a naval blockade, to isolate Britain and prevent inbound supplies. At first, adhering to international norms, Germany only attacked military ships. To step up pressure, Germany began to sink any ship in the war zone. 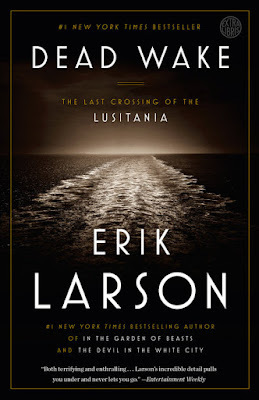 Though Lusitania was ostensibly a civilian ship, information revealed decades later confirmed that the liner was carrying munitions for the British military. 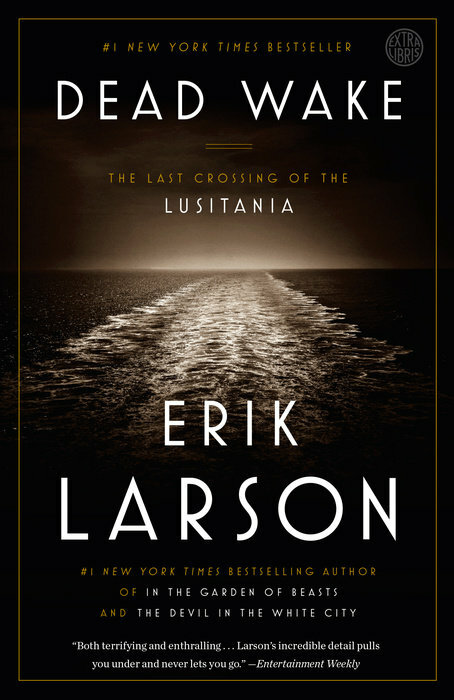 Much of the book is about the people traveling on the Lusitania. We learn about diverse backstories encompassing the crew to the passengers, the elite to the humble, the serious to the jovial. However, the portrayals are not that interesting. The best, and the most insightful parts, are the chapters about the U-20, the submarine that hunted down the Lusitania. Those sections are tense. Back then, the submarine was a primitive technology. Life on board was tough, cramped and stinky all the time. Naval destroyers were a constant menace, as was the fear of drowning. The captain of the U-20, Walther Schwieger, was a dedicated soldier, aggressive and ruthless. Yet he had a soft side—he allowed dogs on board. His crew loved the Dachshunds. Although the sinking of Lusitania was viewed by Schwieger only through the silence of the periscope, he later described the event as a terrifying sight. The greater meaning of Lusitania's sinking is understandable only within the context of the era's politics. World War I had begun with the U.S. firmly in isolationist mode. President Woodrow Wilson, recently widowed, was inconsolably depressed until he met the woman who would become his second wife. He fell deeply in love. When the woman rebuffed his first proposal, misery descended on him once again. Suffice to say, the last thing Wilson wanted was war. Didn't need the stress. For Britain, the war was of existential concern. The British desperately wanted to drag the Americans into the European conflict, believing that victory depended on American support. Having broken Germany's encrypted intelligence, Britain knew the Lusitania was in danger. The government could have warned and protected the Lusitania, but didn't. Why? The British were reluctant to use the unencrypted information too often, lest the Germans be alerted to its compromised communications. Moreover, Britain believed that an unprovoked attack by Germany that killed Americans would accelerate U.S. entry into the war. The strategy worked. Lusitania's demise drowned over 120 Americans out of the nearly 1,200 total. Two years later, the U.S. entered the war, much to Britain's relief. Lusitania might not have been the straw that broke the camel's back, but it was certainly a heavy straw atop the camel. Another wrinkle: the British had a policy that made it difficult to rescue sinking ships torpedoed by U-Boats. Because the German submarines would wait for rescue ships to arrive and attack them as well, Britain decided that no ship would immediately come to the rescue of a sinking vessel. The pragmatism of wartime calculus, as rational as it may be, can be cruel indeed. In the end, the British government blamed the captain of the Lusitania, William Thomas Turner, for the sinking. Larson doesn't. In the author's analysis, Turner was a competent leader whose downfall was sailing at the wrong place at the wrong time. The same could be said about a great many tragedies. If you like war history and ships, check out Dead Wake.